I've only been in Beirut, Lebanon, for 24 hours, but I can already tell that the parliamentary elections to be held this coming Sunday are going to be a fascinating process, and I am thrilled to be a part of it. The world is watching what happens here, and I will get to see it firsthand. I'll do my best to share what I see with you. As staff for The Carter Center, I am supporting the Center's international election observation program to monitor the Lebanese vote. Experts from all over the world are joining our delegation. Today, I was talking with former Yemeni Prime Minister Abdul Karim al-Eryani, who is the co-leader of the delegation, and he told me that "the balance of political power [in Lebanon] may change with a few votes." It's Eryani's first time as an election observer, and he is also excited to be here to see what happens in these critically important elections for Lebanon and the entire Middle East. "I am a learner during these elections," said Eryani as we enjoyed Turkish coffee in the late afternoon. "I've been involved in many elections as a participant but never as an observer." A worker for Future Movement talks in his office; behind him hangs a painting of Rafik Hariri, the former Prime Minister of Lebanon, who was assassinated in 2005. Other than talking with delegation members, I spent my first full day looking for pre-election activity on the ground, and I walked through many neighborhoods in Beirut. Several people told me that it's quiet after a busy weekend of campaigning, and things will heat up again toward week's end. 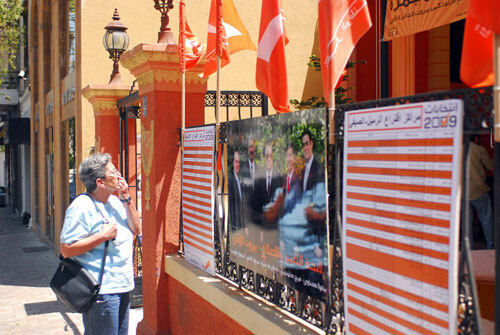 A woman examines a candidate list outside a Free Patriotic Movement building in Beirut. 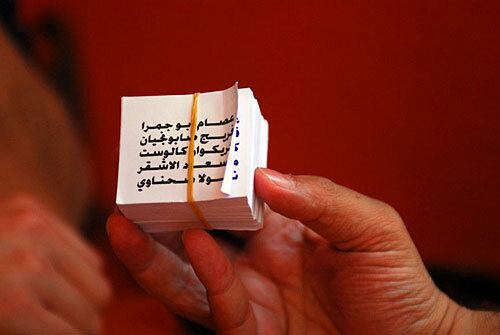 Ballots are not standardized in Lebanon. Each coalition prints their own to hand out to voters at polling stations. I saw some of the many different ballots to be used on Sunday. 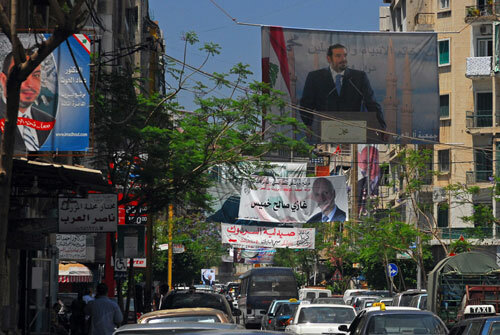 Lebanon doesn't have standard ballots; political movements create their own that simply list their coalition's candidates to hand out to voters outside polling stations. They are tiny, with just enough room for the names. These non-standard ballots are an unusual practice with the potential to undermine secrecy of the vote. The Carter Center will discuss this issue further in a preliminary report to be released shortly after the elections. 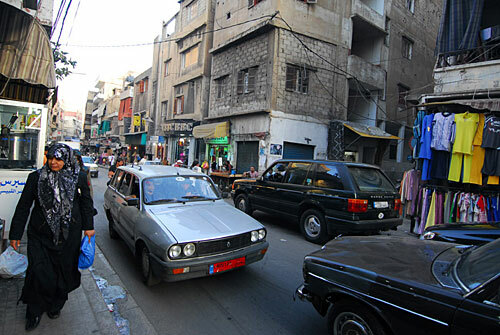 Southern Beirut, which is one of the most densely populated area in the world. One of the most interesting places I saw was southern Beirut, a Shiite suburb badly damaged during the 2006 war. Here, person after person walked down the street, dodging through a constant stream of cars and taking a keen interest in my photography. I was told it is one of the world's most densely populated areas after the Gaza Strip. 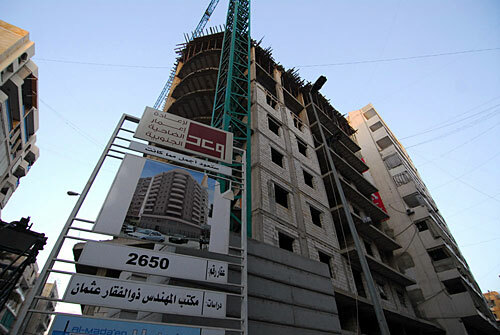 A building being rebuilt in southern Beirut. The former building was destroyed in the 2006 war. Signs of rebuilding were everywhere, but in such a heavily populated area, it was still strange and unsettling to suddenly come across an empty lot or a bombed-out shell of a building. 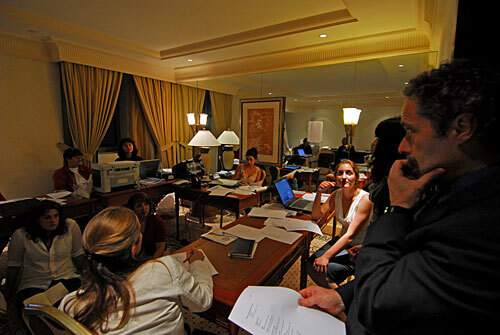 Carter Centers staffers meet to discuss the next day's agenda. By June 2, almost the entire delegation had arrived in Beirut and briefings were planned for the next two days. I hope to explore the diverse neighborhoods of Beirut more tomorrow. Carter Center delegation members have been streaming in from the airport all day; our delegation is nearly full now. Activity will continue to pick up in speed until June 7.